Let’s keep it simple; how do I make my own agility community a better place? Well, there’s lots of ways, but at it’s most basic, what can I ultimately control? Me. Me and my own actions. I wanted to run agility even before I knew what agility really was. I was the kid running the family dog over hedges and flower pot jumps. 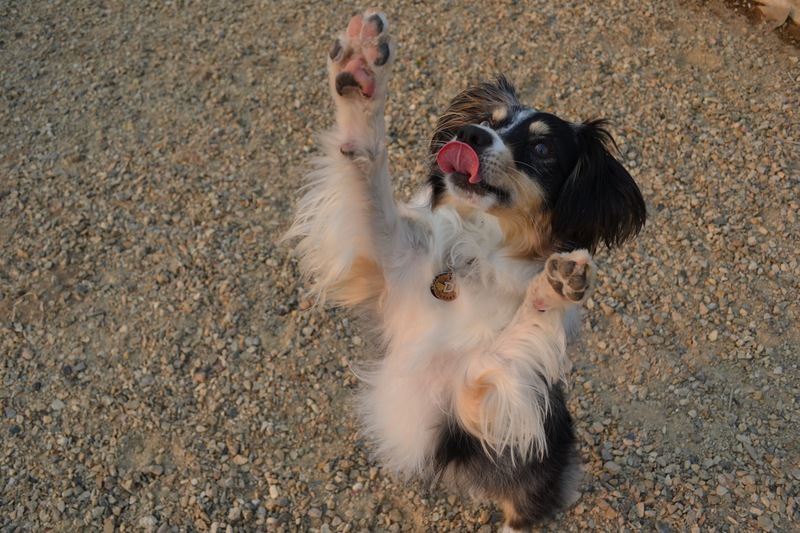 Decades passed, work and life happened…but then a busy merle fluff ball named Duncan came into my life. 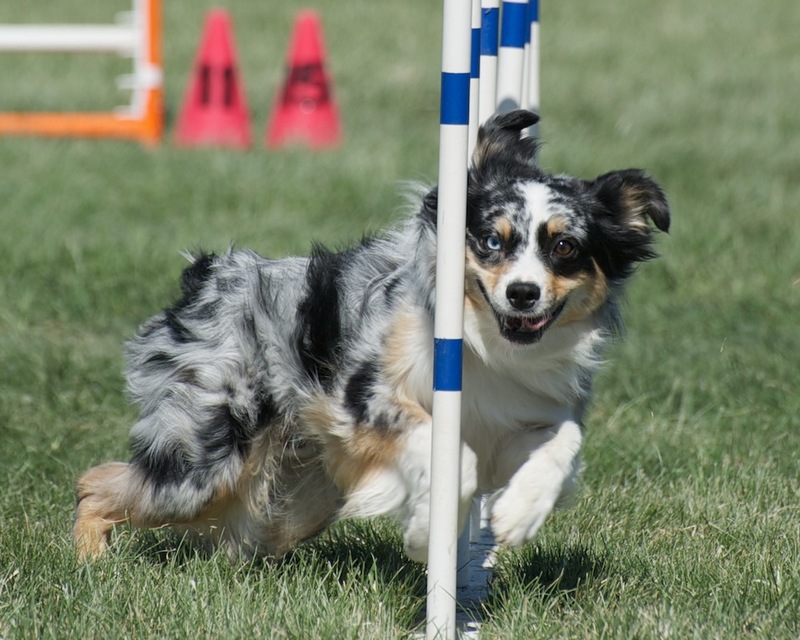 Like many agility folks, I found agility simply to save my sanity. Dunc needed something to do, and after completing basic obedience classes, I was looking for something a little more…<ahem> interesting to keep us busy. 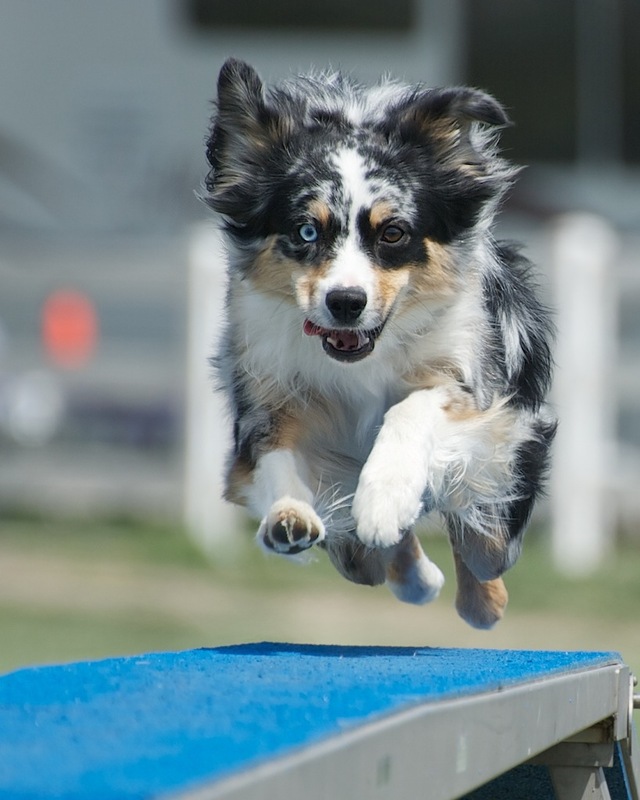 Once we were in, I didn’t just dip my toes in the agility pool; I jumped and dug in, with both feet and a shovel. I knew agility was IT. My yard began that curious transformation common to our kind, sprouting PVC statuary, with neglected gardens gone shabby at the edges. Months passed, we trained and prepared diligently, and I loaded Dunc in the car to go to our first trial. I set out my crate, settled Dunc in his nest, and grinned at every person I passed. How could I not? 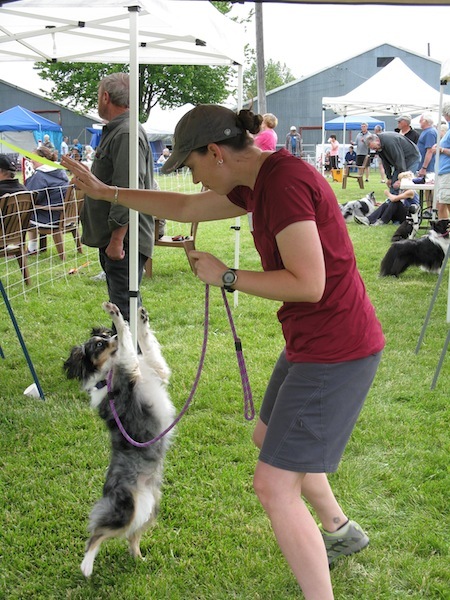 I loved dogs…I loved this new sport and figured everyone around would share in that joy. A few smiles were returned, but for the most part, it was Dunc and me…in our little setup, so nervous that I’d make a mistake epic enough to get us banned. (and dude, pleeease don’t poop in the ring…) Granted, we didn’t have the most spectacular debut; Dunc was timid and worried, and kept pace with his shuffling handler only two weeks out of back surgery. But when we earned our first Q, I wanted to high five everyone in the place. A few people smiled. By the end of the day, I found myself grinning less, finding it harder and harder to start up conversations with strangers. I began to doubt myself. And then the most wonderful thing happened: another competitor who had the most elegant handling and wonderful dogs stopped to compliment me on my cute little dog who was trying so hard. And then another came by to scratch Dunc’s ears, and another gave me a dazzling smile as I headed out of the ring. Those small kindnesses filled me back up with joy, made me feel welcome. Joy! Okay, a much later joy…but we got here with the help of small kindnesses from others. In the years since, I’ve tried to repay those kindnesses. How often do we see someone set up on the fringes, looking a little lost, smiling shyly, asking to say hello to your dog? How often do we turn inward enjoying time with our friends, watching for our favorites? Have I forgotten how gut wrenchingly nervous I was to to walk onto that field? Would everyone laugh at how bad we were? Would we get a big “F” on our first agility report card? There is so much time, love and energy is invested simply in stepping to the line that first time. I think I live in an area with some fantastic and friendly agility folks, but it’s never wrong to pay another compliment, say hello or admire someone’s teammate…especially if they’re struggling a bit. Or online, if I like a blog, a video or a post someone put together with a diabolical challenge, a nice comment is most likely much appreciated by the person who went to the trouble putting it out there. It really isn’t hard to talk to a new person every day, notice something special about their run, and make sure they hear it. If their dog refuses to leave the start line, jumps every contact, zooms around the ring or takes off with a numbered cone, laugh with them, and share your own disaster stories! Sure, that woman may be gone next month, having decided agility wasn’t quite what she wanted. But she’ll have good things to say about your club to others. Or…your new friend might just go home and rototill that wayward garden into an agility field. The garden bit the dust. Agility fields rock! 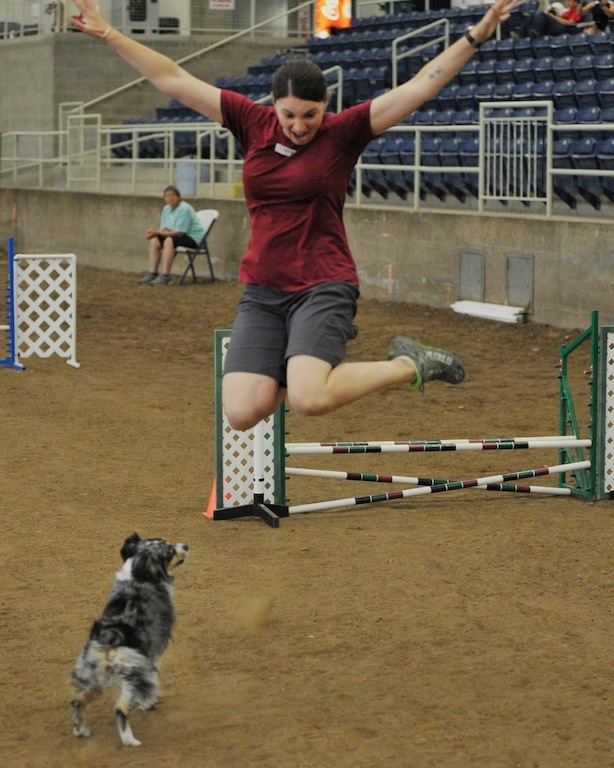 While there’s a lot of debate in the agility world about what’s right and what’s wrong…when it comes down to it, the heart of agility is about loving the time we spend with our treasured pups. We all have the power to notice someone, to compliment them, to help them to find that first agility grin. And when they get their first Q? A high-five wouldn’t be out of place.